Melbourne, Australia: The NSW Government has released the Tune Review into out-of-home care (OOHC), following parliamentary pressure and a joint call from the state’s community sector peak bodies. In November 2015, the NSW Government commissioned an independent review of the OOHC system in NSW. The Tune Review was released on 12 June 2018 and provides further evidence of an OOHC system that is crisis-driven and neglectful of the needs of Aboriginal and Torres Strait Islander children and families. Aboriginal and Torres Strait Islander children is the fastest growing cohort in OOHC. However the report found that the number of Aboriginal and Torres Strait Islander children who are being restored to their families is dropping and NSW does not have any specific programs in place to help keep these families together. SNAICC – National Voice for our Children is the national peak body representing Aboriginal and Torres Strait Islander children.  For almost four decades we have been advocating for their right to grow up safe and thrive in family, community and culture. When the child protection system doesn’t prioritise reunification of our children and their families this undermines these rights. We reiterate our deep concern that even though it has an OOHC system that is labelled as “ineffective”, the NSW Government continues to move towards adoption as a preferred option for children in OOHC, despite the lifelong damaging effects this has on our children and their families. The Tune Review clearly demonstrates that the NSW Government is currently failing in its responsibility. When the NSW Government moves from reactive measures to investing in early intervention and family support services it will enable our families to stay together. SNAICC stands with AbSec, the peak body for Aboriginal children and families in NSW, in pushing for change to the child protection system that will deliver real outcomes for Aboriginal children and families through an approach that is Aboriginal-led and designed.